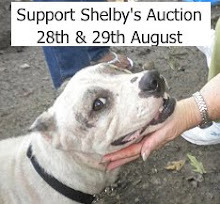 We were thrilled when Brodie and his mom contacted us to say they had purchased this item especially for Shelby's auction! They are offering a wonderfully inspiration book - 'Four Paws From Heaven', a wonderful gift for a very special person in your life. Pet lovers will find encouragement and guidance for their own life through invitations to reflect on the love, companionship, and insight dogs give to those who love them. 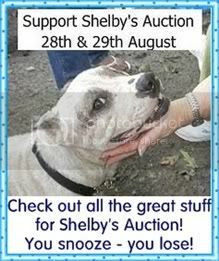 We will bid $45 for sweet Shelby! WOOOOOOT! This is soooooo exciting! Thanks for bidding!